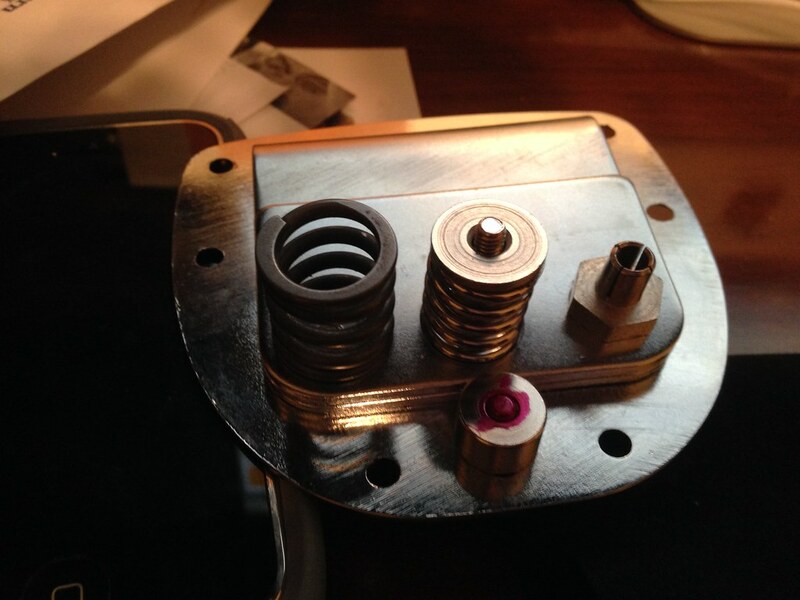 I found some G &L Dual Fulcrum Vibrato Sockets. Looks similar but without the cone top of the original Bronco. 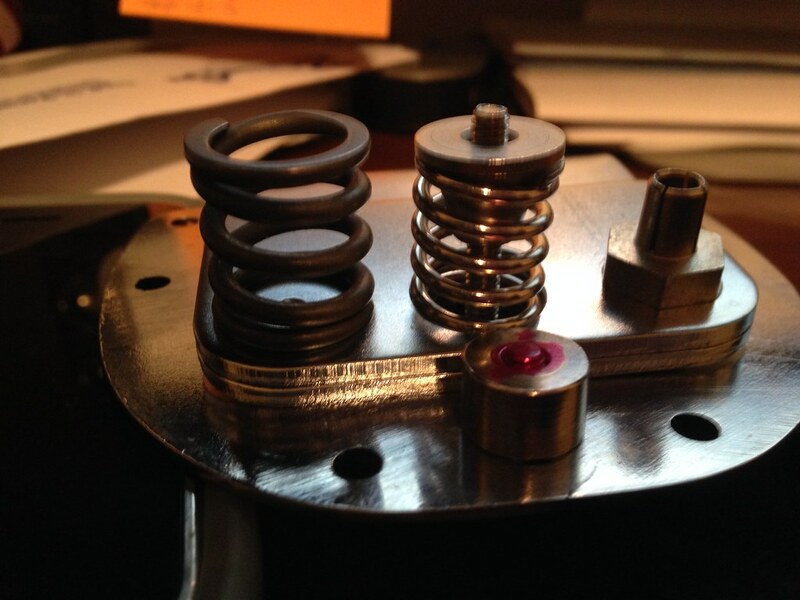 Here is my Bronco spring next to an America Jazzmaster tremolo. 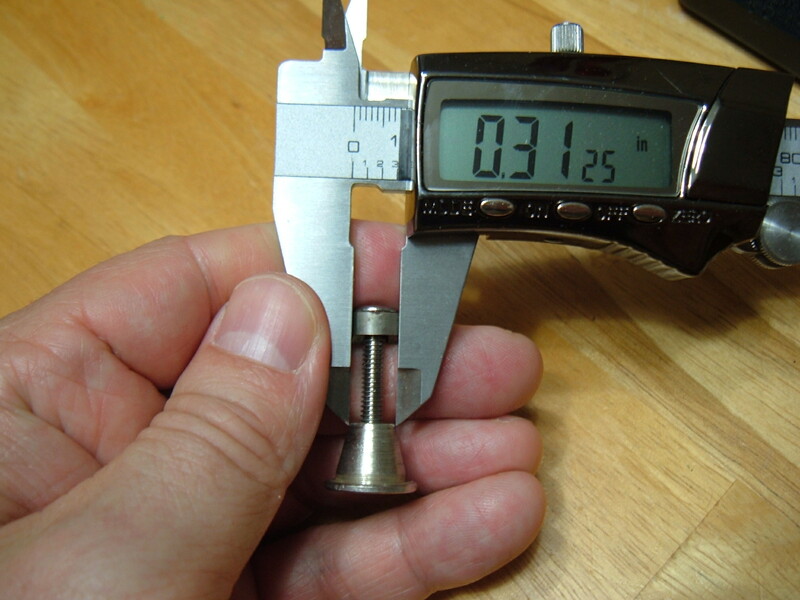 How wide (diameter) and tall is the Bronco Spring retainer? 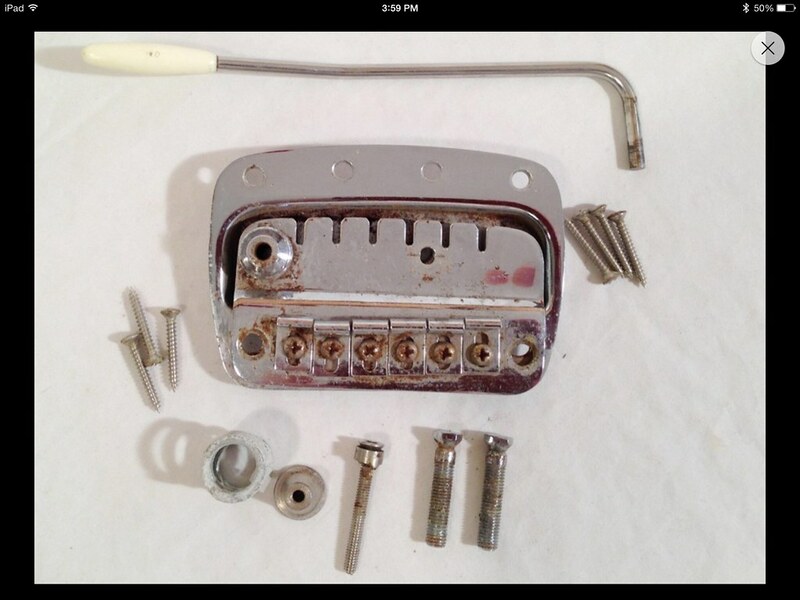 I had an Allparts jag trem spring and retainer. The one you have looks closer to the right size. 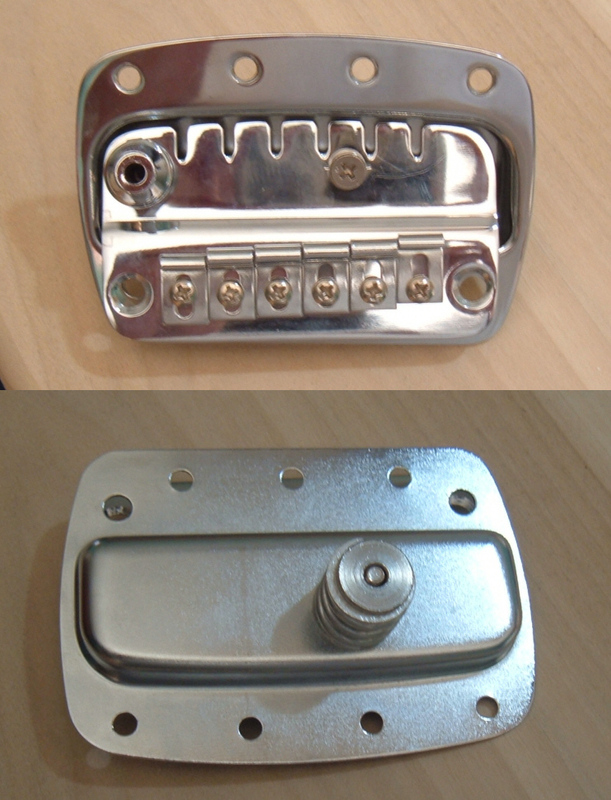 Let me know if you try one of the G &L Dual Fulcrum Vibrato Sockets. If it works I need to order one. 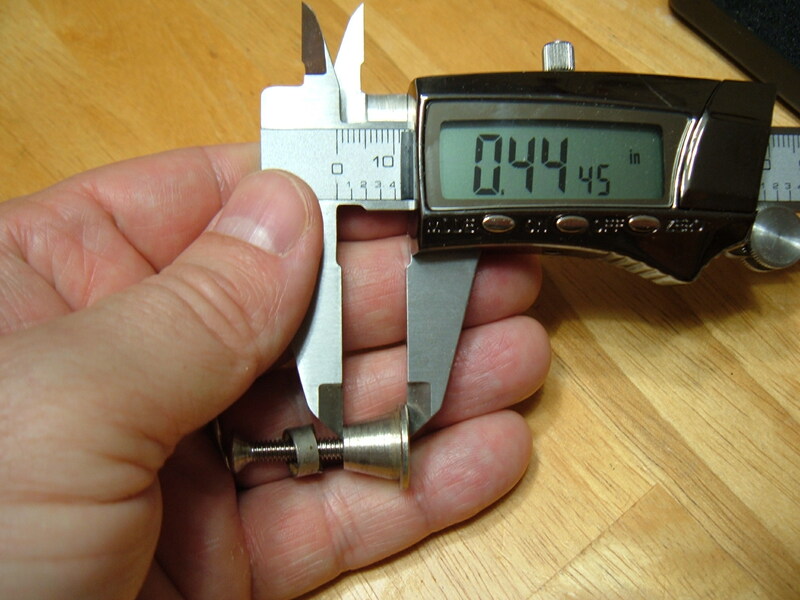 Thanks for pulling it apart and Measuring it. I am going to copy all this info into my Evernote for future reference. I got the top plate in the mail. 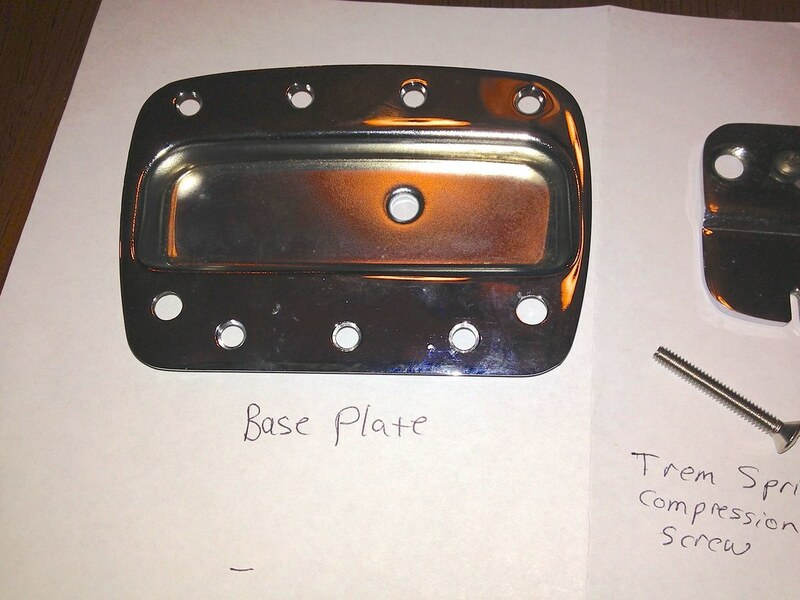 The top plate itself is in good condition. All of the saddles are bent to crap. One is on the verge of breaking. 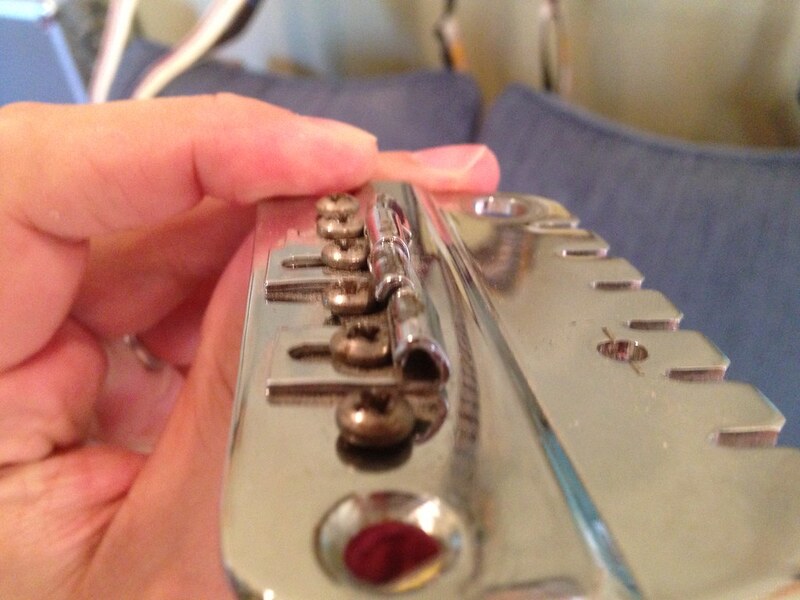 I looked at the saddles on my Bronco guitar and they are nice and straight. I doubt any of them are salvageable. 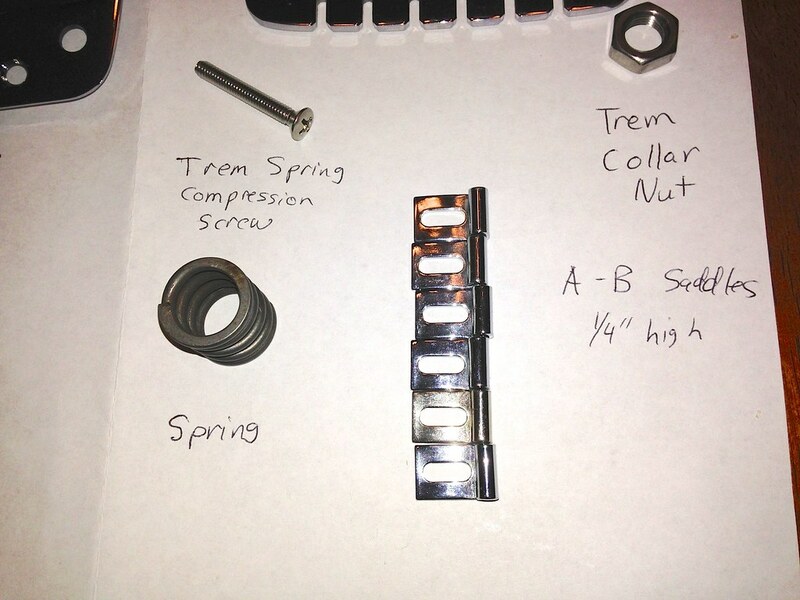 I need to make a parts list and see what I can acquire at the hardware store and see where I am at that point. Do you have everything else you need for a Bronco? 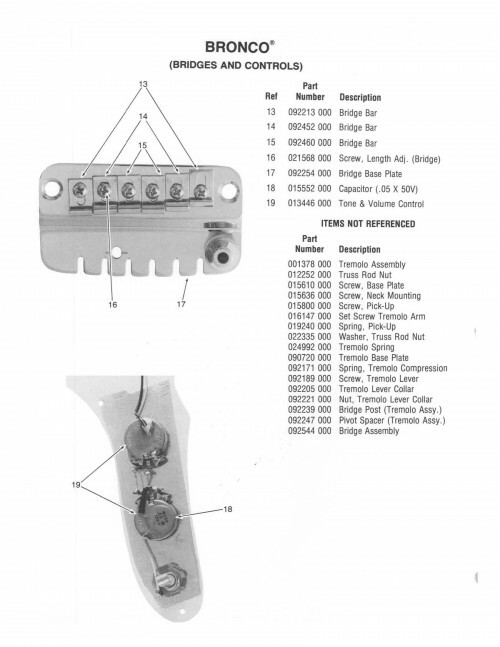 Fender should keep making parts, even if there's not a reissue. It's a constant revenue stream,even if it takes away from selling whole guitars. I just have the bridge parts right now. I didn't' want to invest in a everything else unless I had a working bridge. I would either buy a vintage body, make one or have Cooter make one since he has the template. The ones Cooter made with contours look better than the originals. I got some Fender Bronco Saddles and parts from Cooter. I will take new pics later tonight and see what I still need to find. Nice. Whatever you do, don't toss the wrecked saddles. I have been doing the opposite, which is build a Bronco without the bridge. This weekend I almost finished it. 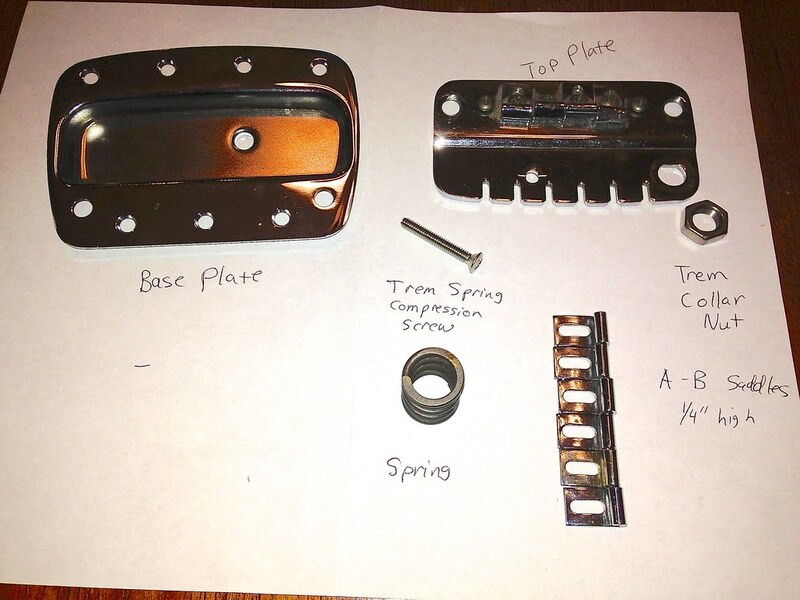 Instead of the makeshift pickguard piece, I ordered a Mustang bridge plate. I can already tell I will like it. The Bigsby looks great. I traced the plates to give to the guy on OSG who makes plates. 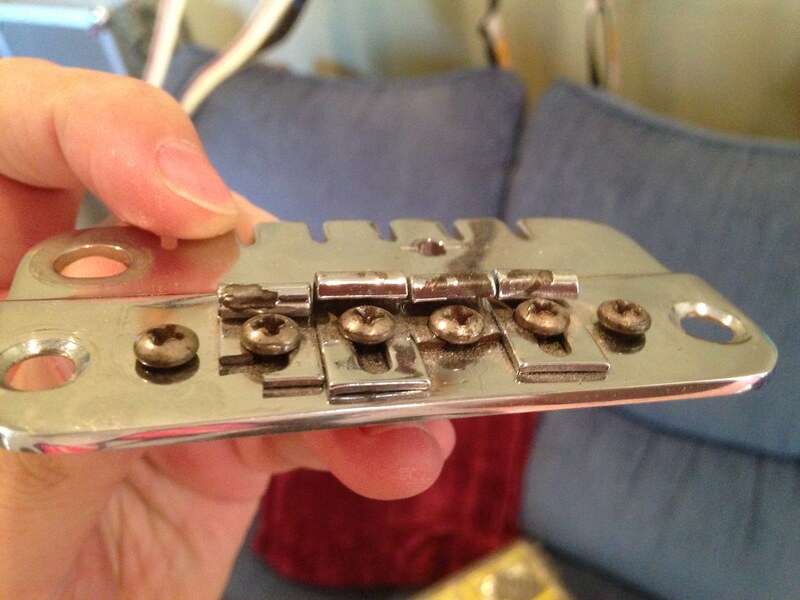 The same thing could be done with a Bronco flat plate with string catch holes in it, with the strings going up to either a Mustang or TOM bridge. This could be easily reversible, except that Mustang thimbles are spaced differently. Also I compared with a Strat saddle and although thicker, they were pretty darn close. its a cancer like put floyd or kahler on vintage stuff. I will totally not throw anything out. 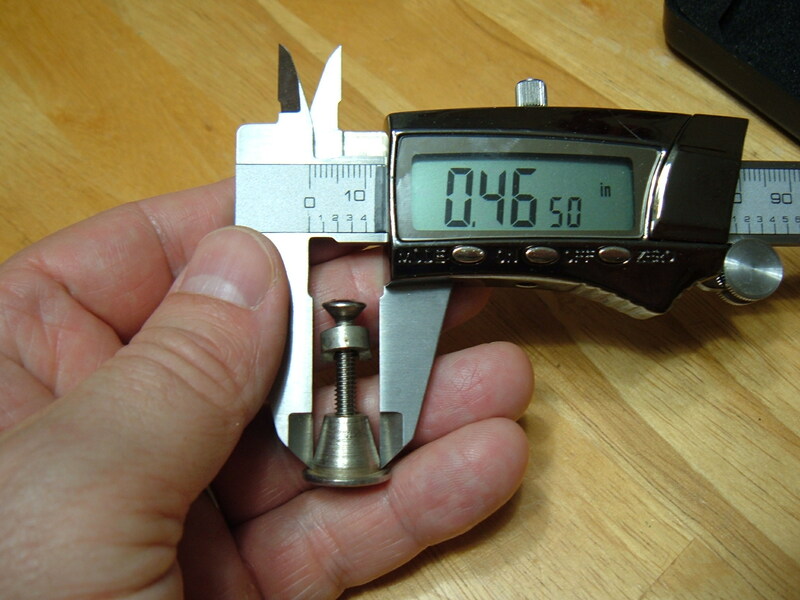 I measured the saddle heights and they were 3/16", 4/16" (1/4"), 5/16"
The saddles that came on my top plate are all bent below their original heights and two are cracked. 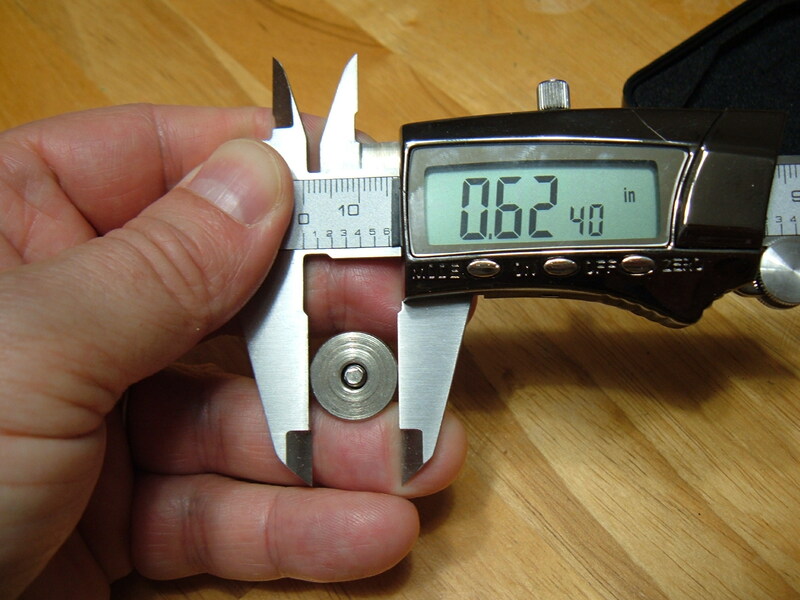 The saddle for the D String measured at 1/4" which means it's actually the wrong saddle. So it looks like someone didn't have all the saddles and tried to bend them down to make it work. Getting closer! The anticipation. It's a shame these are so hard to find. Bronco bodies pop up on the bay so often for dirt cheap but it's pointless without a trem. If I could complete this tremolo. I would love to look into what it would cost to make more. 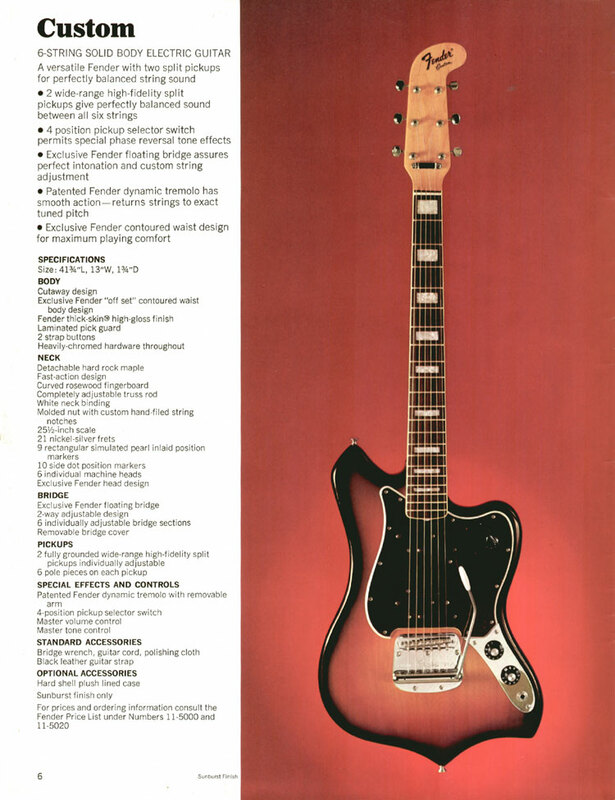 I would love to make a Jazzmaster or Jaguar with a Bronco tremolo. Except its not because it's just a few screw holes versus a route, and there's more Bronco bodies to go around than there are working stock bridge assemblies for them. Guitar had Bigsby: has "bite marks"
Put it on a Maverick! 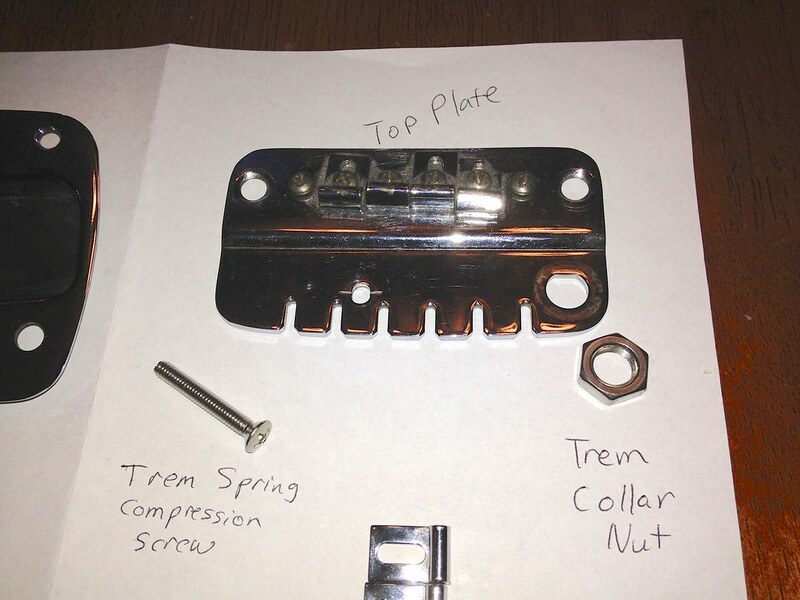 The larger baseplate would eliminate the (IMO) unsightly gap between trem and pickguard.